With the SY-300 Guitar Synthesizer, BOSS presents an all-new approach to guitar synthesis that unlocks an extraordinary world of sound creation. Using cutting-edge BOSS technology, the SY-300 can be used with any guitar or bass via a standard 1/4-inch cable. Powered by ultra-fast DSP, the SY-300 performs its synth magic in real time, with no lag whatsoever. This gives you a playing experience that’s a natural extension of your instrument, letting you play organically, with no alternation to your technique whatsoever. The BOSS SY-300 Guitar Synthesizer works great for both guitar and bass. Beyond its impressive analog-style synth capabilities, the SY-300 can also be used as a powerful multi-effects processor to enhance both synth and straight tones. Four simultaneous effects engines are available, each with a number of effects types including overdrives and distortions, Slow Gear, Isolator, Slicer, and many others. Some types can even provide two effects at once, such as chorus and delay or delay and reverb. 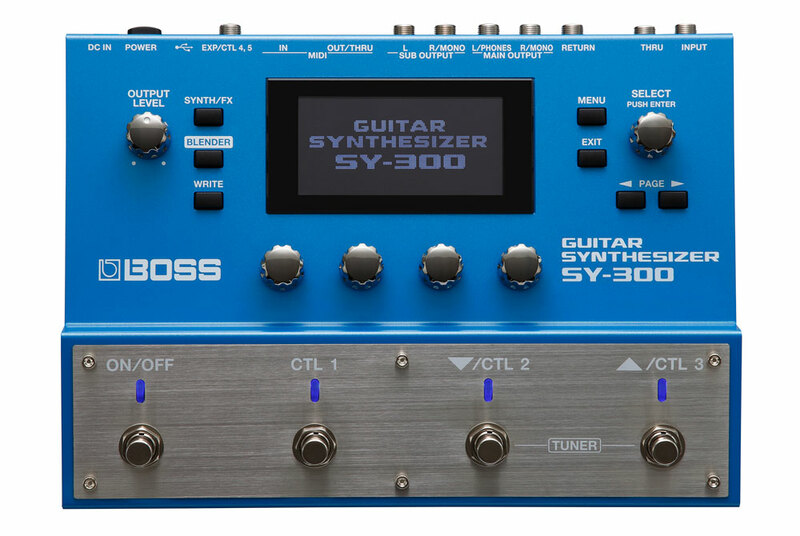 Learn more about this powerful guitar/bass synth at the SY-300 product page and this blog post. At the BOSS Tone Central website, you’ll find tons of free new sounds for the SY-300 and other BOSS guitar and bass gear. Even if you don’t own an SY-300 yet, you can still hear what these sound collections are all about. When you’re on the SY-300 page, clicking on a Live Set collection will take you to a dedicated page that contains video and audio demos, plus download links for the collection. BOSS Tone Central is also where you can download BOSS Tone Studio for the SY-300, a full-featured editor and librarian for the synth. The software also provides direct access to the SY-300 Live Set collections at BOSS Tone Central from within the editor.